Earlier this week, I appeared on the local WGN morning news broadcast. (Check it out!) A colleague and I were representing our local chapter of the professional association we belong to, NAPO-Chicago. If you're in the organizing industry, hopefully at some point, doing segments like this will be part of your job. As such, I thought some might find it helpful or interesting having a better understanding of what that process is like. First Contact: This particular segment began with a call from the segment producer. She introduced herself and her role, asking if I would be interested/available to appear in the segment on the given date. I checked that I could, and we chatted for a few minutes discussing possible topics or tips to share in the piece. Now, it's on the calendar! Prepping: Because a colleague and I were appearing together to promote our chapter, we worked with the chapter's PR company to refine our tips, practice a couple times and make sure everything we wanted to say would make sense and fit in the time allotted. However, in the past, I've worked on this part alone. It's important to know how long the producers intend the segment to be so you can make sure the information you want to share fits, without rushing. It's also important to know if they'd like you to bring your own props or photos; and if so, how many. Practice a couple times at home. Get comfortable with what you're conveying, and get to a point where you don't need note cards. If you already have the props, know which order they will be laid out or shown, and use this as a tool to help remember what you want to say. Oh, and pick out what you'll wear at least the day before! Try it on to make sure it fits how you want it to. Day Of: The producer will let you know when and where you need to be that day. Show up on time and in the right place! Have whatever supplies you'll need with you, or ready to be unloaded in their docking bay. Hopefully, they've scheduled enough time for you to come in, set up and relax for a few minutes before going on air. Earlier this week, we had enough time to place our props on set, go back to the green room and sit for about 15 minutes and touch up our hair and make-up. It was nice to just sit for a minute before nerves and excitement kick in! This was a live segment; in the past I've also participated in taped segments, which run on a bit of a different type of schedule. We went down to the set, the anchor and cameras came over to our set, and the lights went on! It was over in about six minutes. It was fun and it went smoothly. We were able to promote a great group and chapter, and provide some interesting organizing ideas. In the past, when alone, I've felt that the tips given and the back-and-forth with the interviewers has always been helpful in promoting organization, myself and my industry. 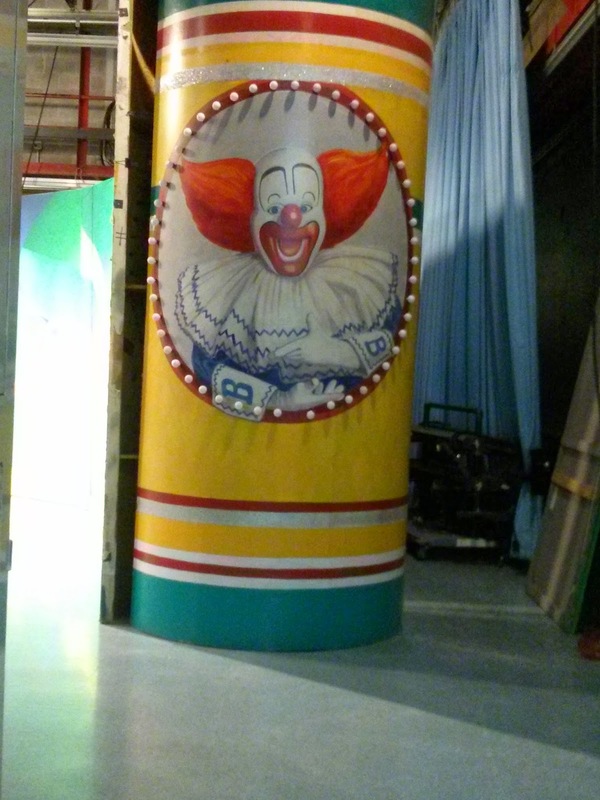 And, for those of you who might remember WGN's broadcasting from years ago..... this was still around!